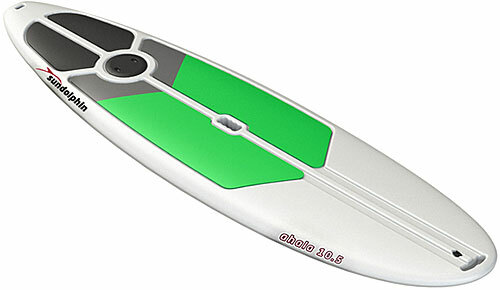 The Sun Dolphin Ahala 11.5 SUP Board in lime / white features tracking fin, non-slip foot pads, conveinent dry storage compartment, carry handles, and SUP safety leash. 83¼" aluminum shaft SUP paddle optional. Built for stability and straight tracking. Get out for a superior paddle on the sleek Ahala 11.5. As described. We bought 2 and love them.